Kung Fu (Kungfu, gong fu, gung fu) is the common name for all Chinese martial arts. Our Kung Fu style (Northern Long Fist) is as graceful as it is practical and powerful. We are proud to Marysville, Washington’s only source for authentic, traditional Kung Fu. 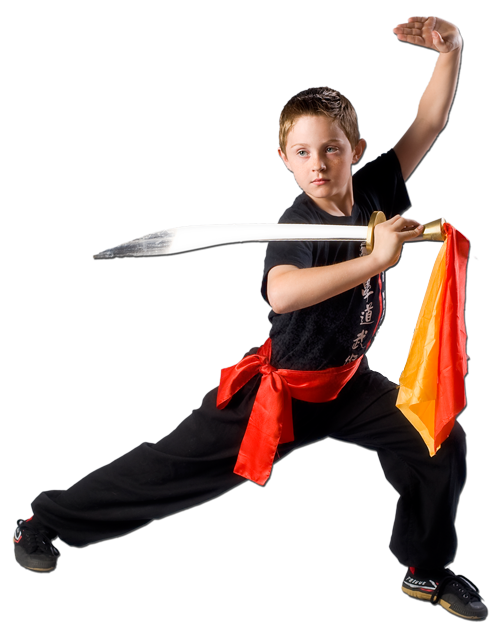 Our classes and private lessons focus primarily on the emapty hand and weapons froms taught in the Northern Long Fist style of Kung Fu often referred to as Northern Shaolin. The Northern Shaolin style of kung fu is one of the most famous, and most practiced traditional northern styles of Chinese martial arts. The northern styles of kung-fu generally emphasize long range techniques, quick advances and retreats, wide stances, kicking and leaping techniques, whirling circular blocks, quickness, agility, and aggressive attacks. The system teaches empty-hand techniques and weaponry through predetermined combinations, known as forms, routines, taolu, or sets. Students learn the basics by practicing the routines until the movements in the routines can be executed naturally based on instinct. Then, two or multiple person sets are practiced to train responses and applications of the techniques. The practice sets are not only practical in applications but are also graceful and artistic in nature. The fluidness of the movements are trademarks of the Northern Shaolin sets.